As we gear up for the band's headline Glastonbury set and the release of OKNOTOK, we answer the question on everyone's lips. Radiohead will be the first headliner to play this year's Glastonbury Festival in just five days time on Friday 23 June. But, the fact that Thom Yorke and co. will take to the Pyramid Stage stage on the same day they release of their 20th Anniversary OKNOTOK reissue hasn't been lost on their fans. "'Fitter Happier' might have a few issues," drummer Phil Selway revealed to Rolling Stone. "We'd also have to play 'Electioneering' then, wouldn't we? So no, I don't think we'll do that." Radio X's John Kennedy will be playing a very special track-by-track of the OK Computer Thursday from 10pm with Radiohead's Phil Selway. 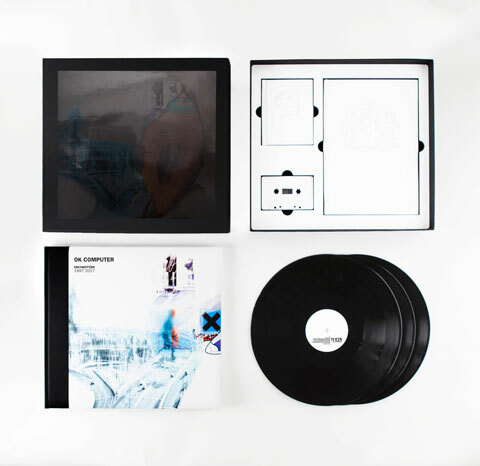 While we definitely won't be getting the album in its in entirety, it is rumoured that the set will be OK Computer-heavy. While it's pretty clear Radiohead will be playing exactly what they want come Friday night at Worthy Farm, fans can still hold out hope when it comes to hearing their famous Creep anthem. "It's a good song," Ed O'Brien told Rolling Stone. "It's nice to play for the right reasons. People like it and want to hear it. We do err towards not playing it because you don't want it feel like show business. But we started throwing it in last year." However, Thom Yorke still seemed pretty ambivalent about the Pablo Honey track. "We only did it once or twice this year," said the frontman. "The first time I'm feeling the fakes we'll stop. It can be cool sometimes, but other times I want to stop halfway through and be like, 'Nah, this isn't happening.'"